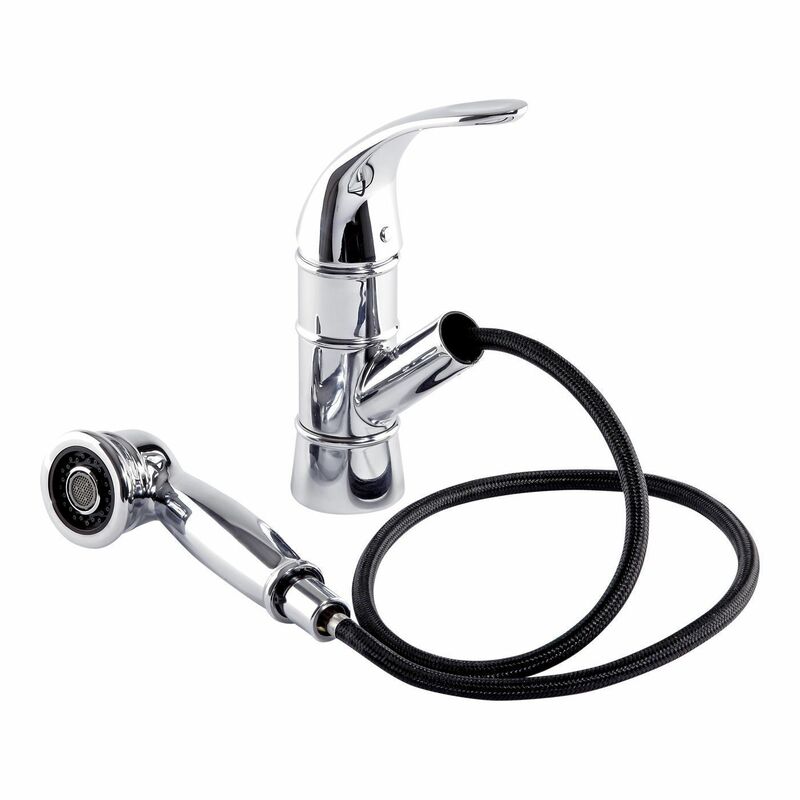 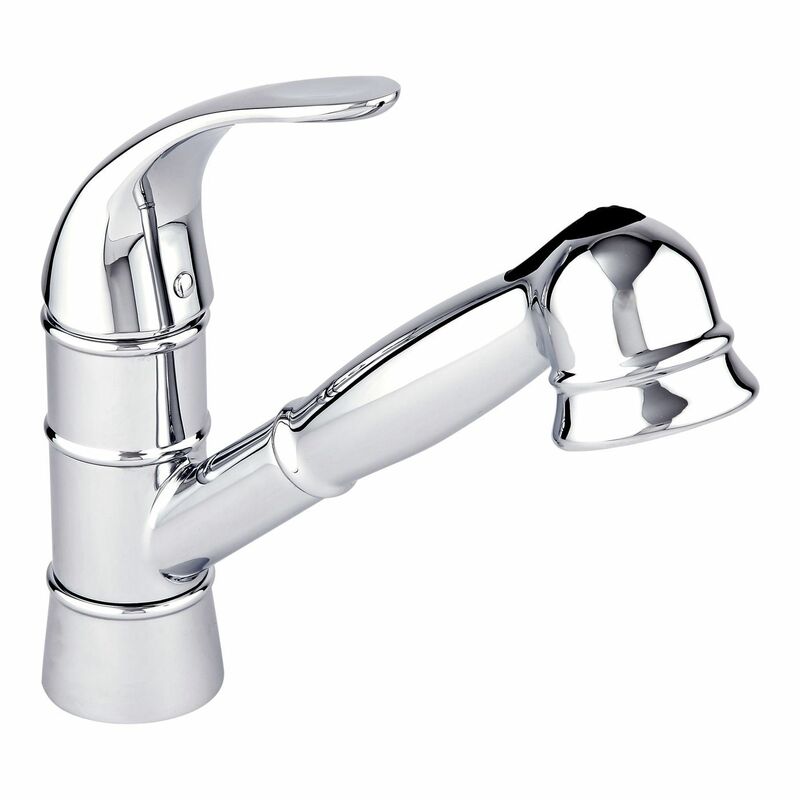 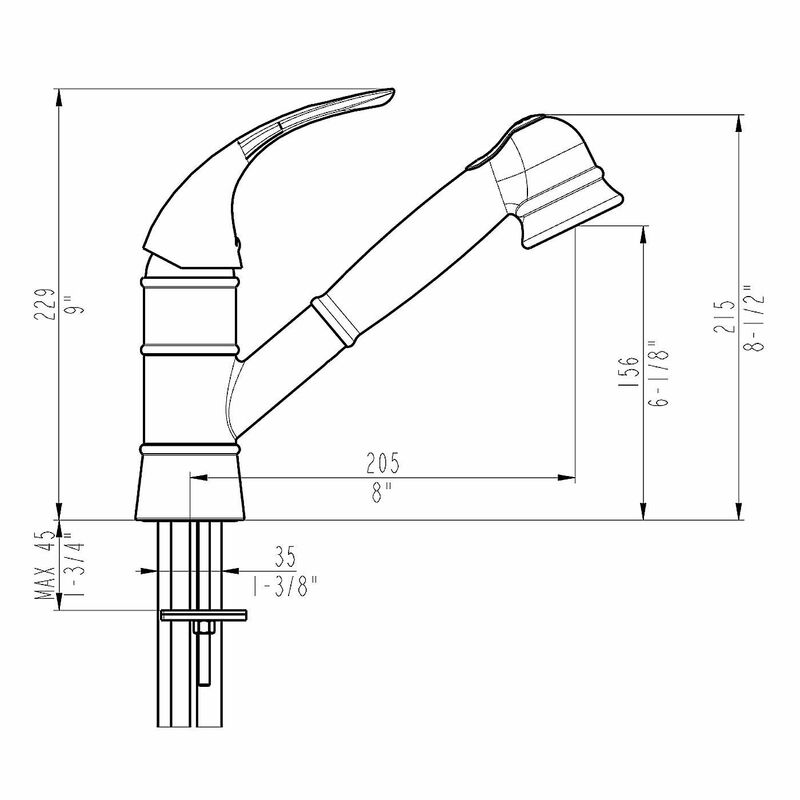 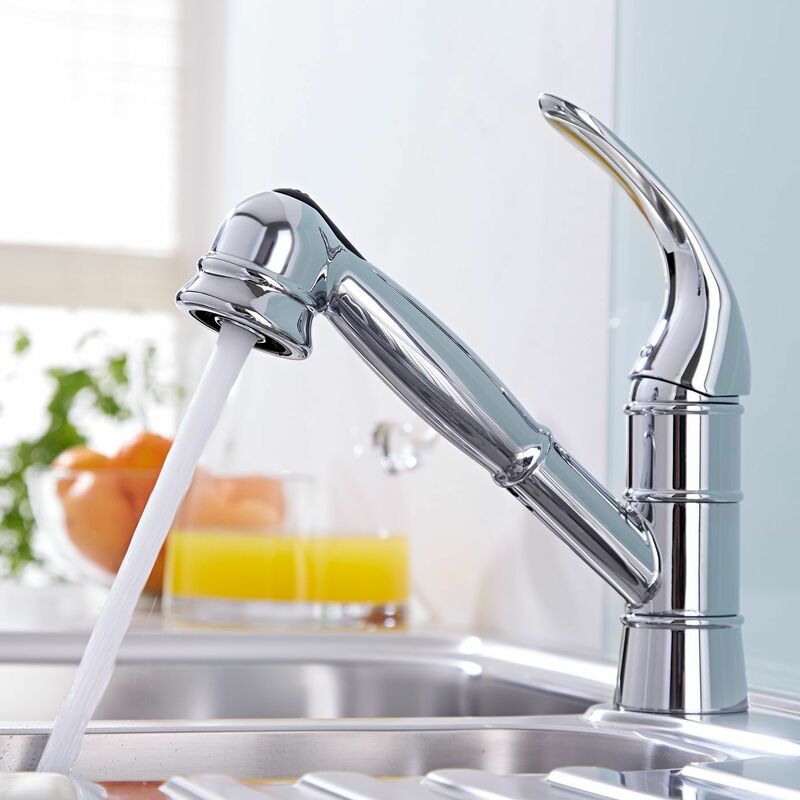 The Hudson Reed single hole pull out kitchen faucet combines attractive looks with functionality. 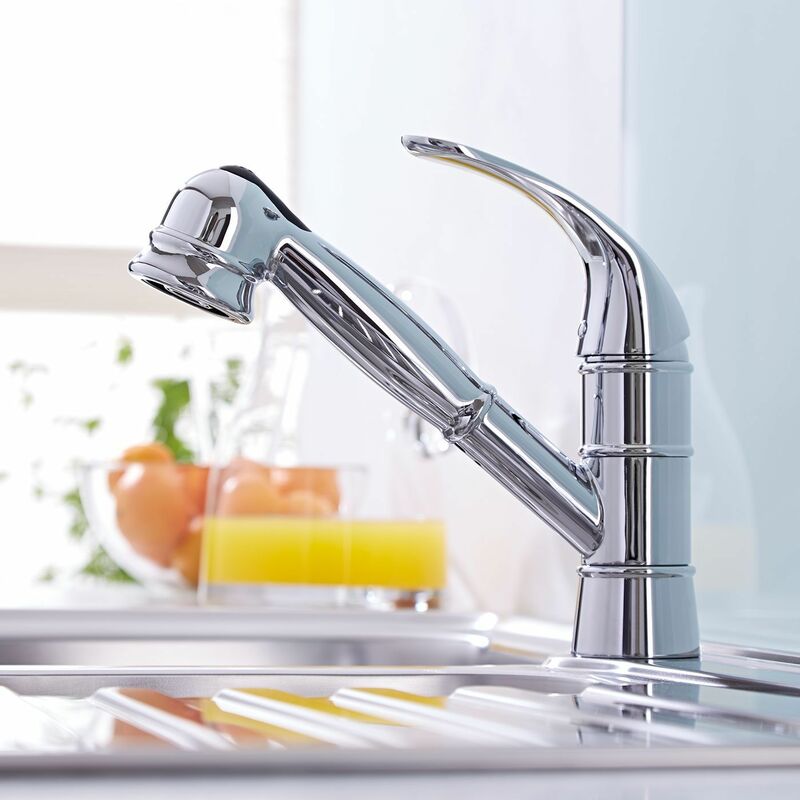 Made from solid stainless steel, this attractive faucet is sure to make a stylish and practical addition to any kitchen. 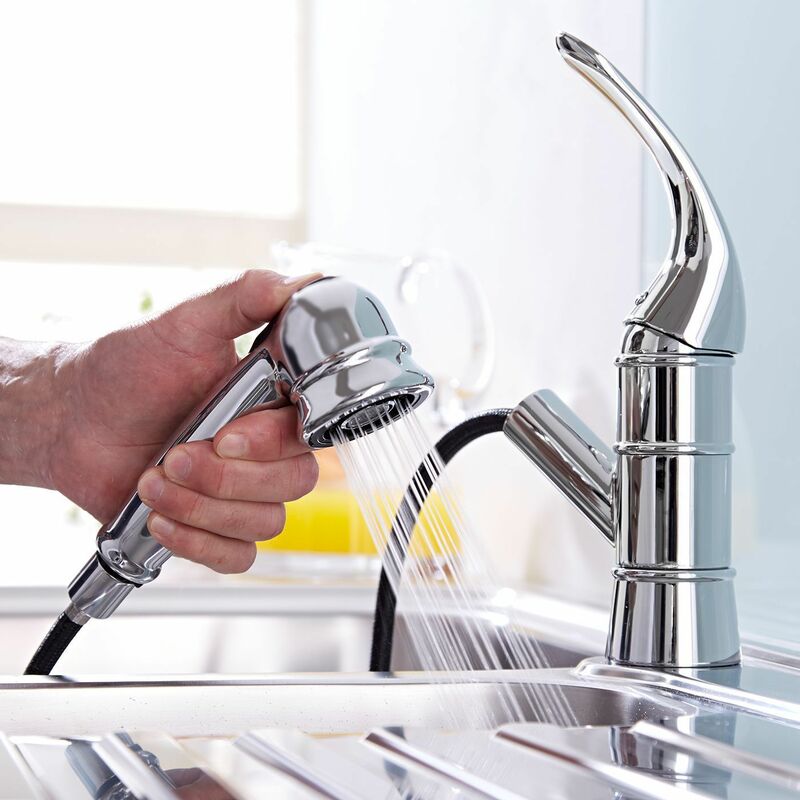 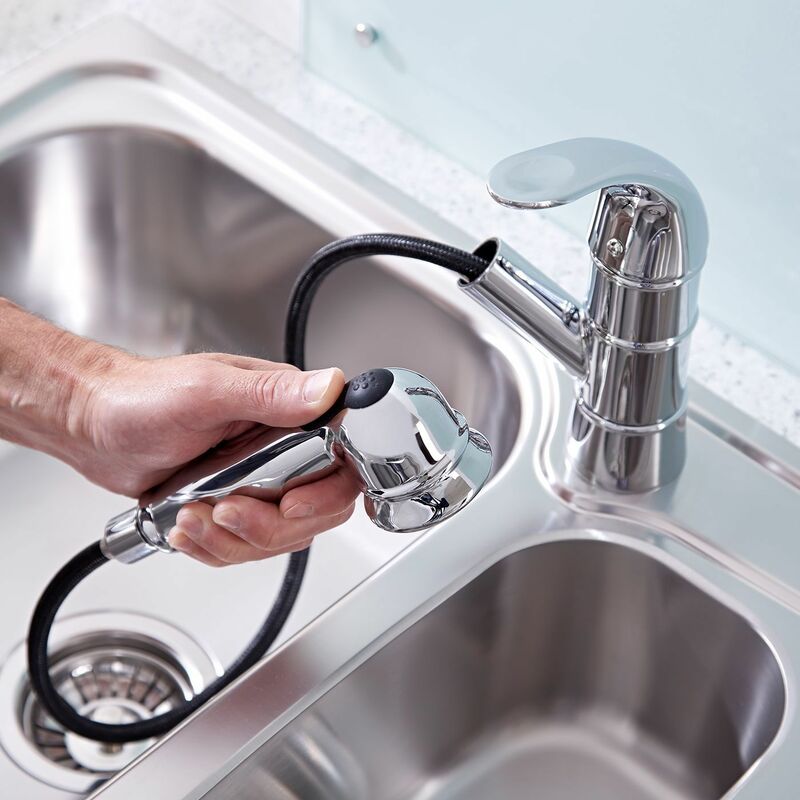 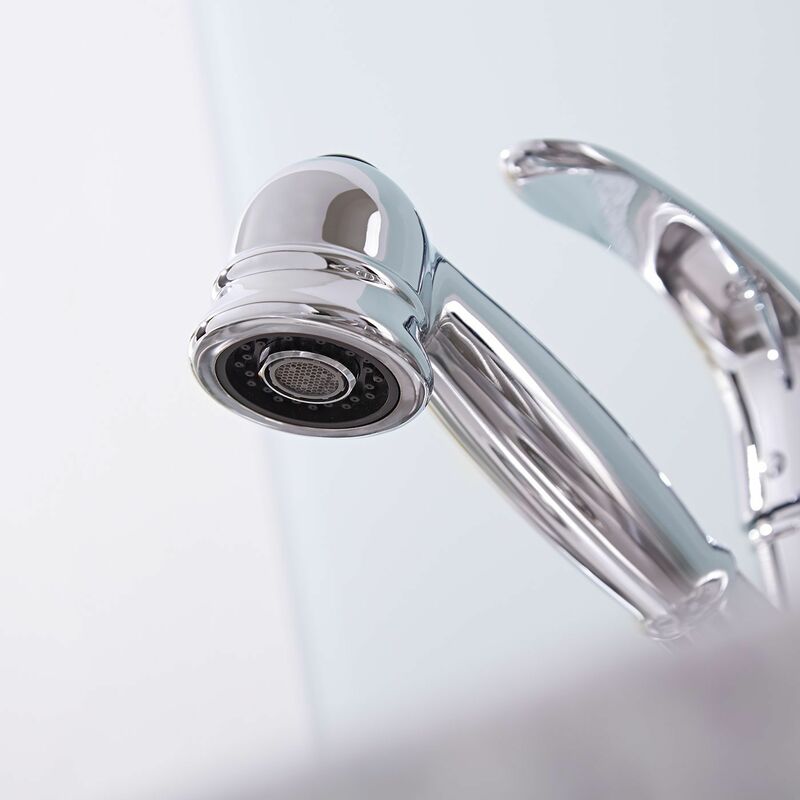 Featuring a durable chrome finish and an easy to use single lever handle, this kitchen faucet incorporates a pull out rinser, so you can rinse pots and pans with ease. 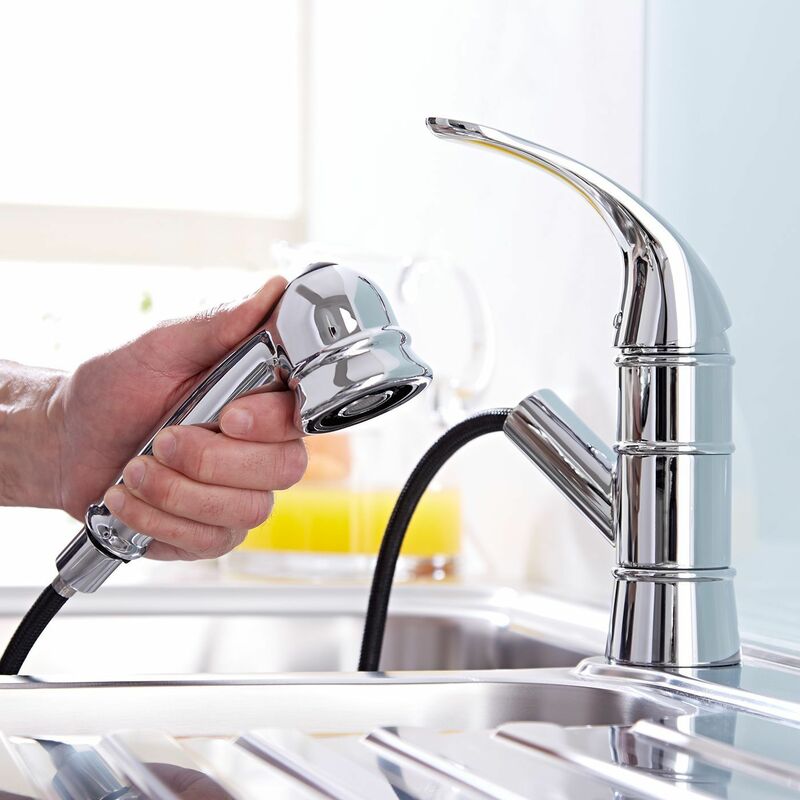 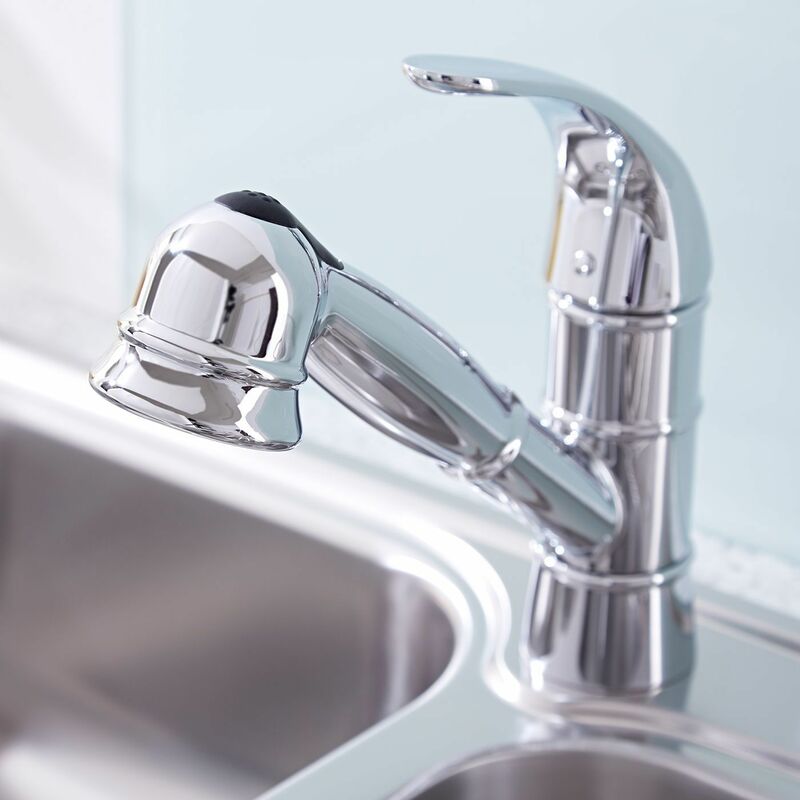 The pull out kitchen faucet features ceramic disc technology to ensure smooth control and no drips.